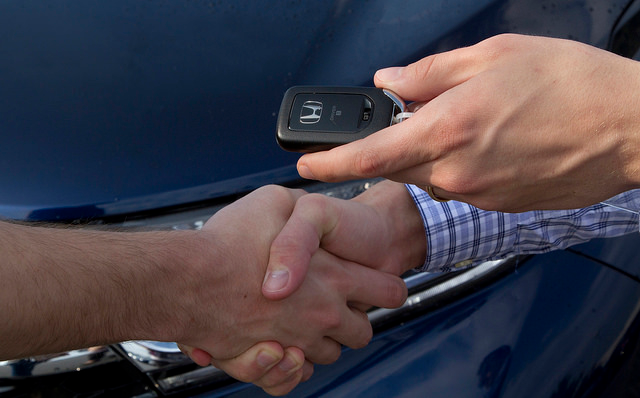 If you're looking to sell your car instantly, we can help! Simply fill out our easy, intuitive questionnaire and you'll have an offer for your vehicle within minutes. If you choose to accept, we'll buy your car and get it scheduled for pickup. We'll cut you a check right on the spot and take the car away. 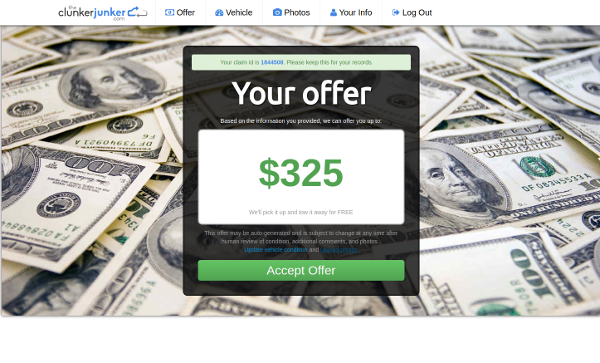 If you accept our instant offer, you'll be paid for your car or truck at the time of pickup. One of our friendly carriers will write you a check and haul the vehicle away. Towing and removal is always free and there are no hidden fees or charges. The amount you accept is the amount you'll receive. To make an offer we'll need to collect some basic details about you and your vehicle. Start with telling us the exact year, make, model. Next, we'll ask which zipcode your vehicle is located and whether you have the title for the vehicle. Finally, describe the condition of the vehicle. Does the engine start and drive? Does it have body damage? We buy cars in almost all conditions, whether they're wrecked or broken. Answering honestly and accurately will avoid any conflicts or disputes at the time of pickup. If you like the offer we give you, simply click "Accept" to get started with the pickup process. 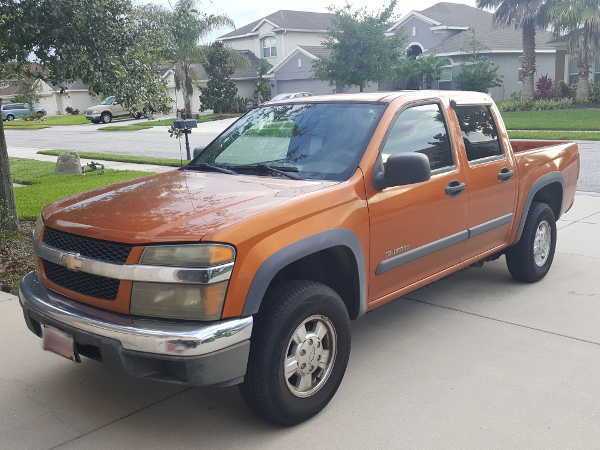 We'll need to collect some additional information like the name(s) and phone numbers of the owner, the location where we can pick the vehicle up, and in some cases photos to verify condition and ownership documents. Once we receive the required info we'll submit your vehicle to our local carrier for scheduling. Our carriers set and manage their own pickup schedules, so we can't guarantee any specific day or time but they are usually very flexible. Weekends, nights, and same day pickups are not uncommon. When our carrier arrives to pick up your vehicle they'll do a quick inspection to make sure the condition matches what was stated. If everything looks good they'll hand over your check in exchange for your keys, title (if applicable), and vehicle. The carrier will load your car on the truck and tow it away, it's as easy as that! All of our carriers are vetted to make sure they're legit. Our service is fast, easy, and much safer than selling your car to a stranger from an internet classifieds site. 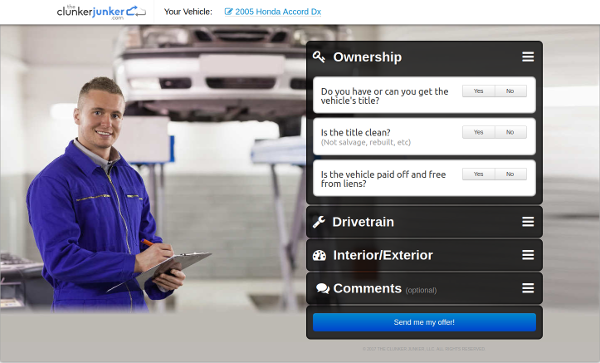 "Seriously, the most easy and fast way to sell an unwanted car. I received an offer, within 24 hours I had a check for the agreed amount, and the car was picked up from my home. If you are expecting top dollar for your car because it runs you are better off selling on Craigslist because that is not how Clunker Junker works. It is all about demand! Receiving an offer is so painless might as well see what you can get." "Thanks to the team at The Clunker Junker. 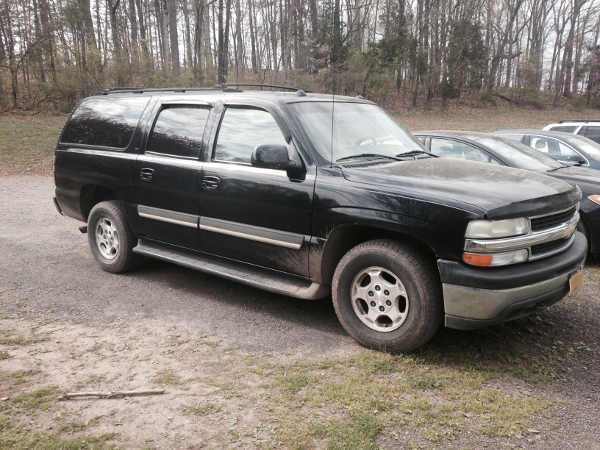 They were able to get me a good price for my old truck. Super easy process that occurred as promised." "We highly recommend The Clunker Junker to anyone looking to get rid of an old car in less-than-stellar condition. After a minor issue submitting our car on the website, I contacted the owner and received a reply in less than 10 minutes. (And this was at 4:30 in the afternoon.) We had a satisfactory offer within half an hour, and were contacted later that evening to arrange for pick-up. Our car was gone and I had check in hand by lunchtime the next day." The Clunker Junker stands by our service 100%. If for any reason you do not receive payment from one of our car junkers near you, we will work closely and personally with you to resolve any payment or service issues. 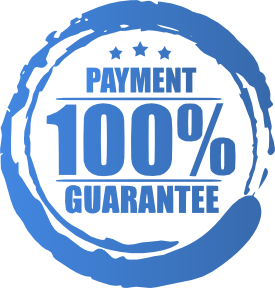 If payment from the buyer still cannot be arranged, The Clunker Junker will pay you cash for your car in the full amount accepted as part of our junk car removal service guarantee. Please note that our service guarantee applies only to vehicles that have been successfully picked up and towed away with proper ownership documentation (e.g, title) provided. The Clunker Junker and our car junker partners reserve the right to retract on our offer at the time of pickup if the vehicle is not as described by the seller or if the seller changes or updates information after an offer has been accepted. Can I sell my car without the title? It depends on a few different things like the location, age of your vehicle, and what other documentation you may have available. We can buy some cars without titles in some states, but you will usually need a photo ID that matches a valid registration and/or insurance card to prove ownership. Sometimes additional documents will need to be signed and notarized. 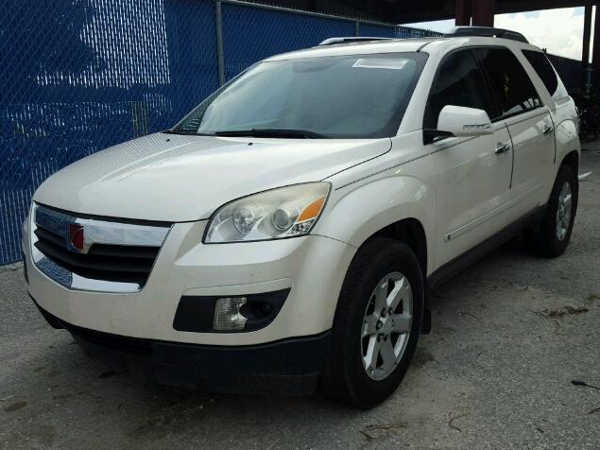 We cannot purchase abandoned vehicles or vehicles that have active liens under any circumstances. We will also not pay for impound fees if they are required to release a vehicle. Are there any hidden fees, or will you change your price when you arrive? Never! We know there are a lot of other junk car buyers out there who will try and do what's called a bait-and-switch, where they offer you one amount online or on the phone and then try and change it when they arrive. This has unfortunately given our industry a bad name. When you sell your car to The Clunker Junker you can be sure that the offer you accept online is the amount you will be paid, guaranteed. It is, however, important that you accurantely and honestly describe your vehicle in our questionnaire as our junk car removal team will inspect the vehicle before towing it away. When can you pick up my car? I need it gone today! The Clunker Junker makes every effort to be or work with the fastest and best junk car buyers in your area. Once we collect all the required information (and photos in some cases), we'll forward it to our carrier or buyer immediately and they will reach out to you to schedule an exact day and time for pickup. Our carriers usually respond within a few business hours but can sometimes take longer. Because The Clunker Junker does not directly handle scheduling, we cannot fully guarantee any specific time or date. With that said, however, most of our pickups happen within two business days and many even happen on the same day as submission. How are your offers calculated? Why is mine so low? 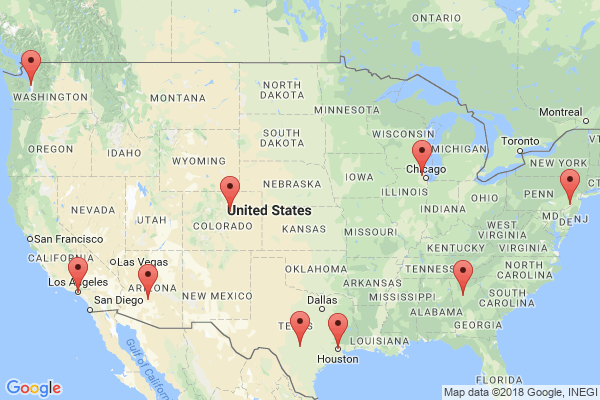 Our offers are calculated in real time based on a large number of market forces such as recent sale and auction prices, prices of raw scrap metal, current buyer inventory, distance from your location to the buyer's facility, and more. Our prices always include the cost of towing, which can sometimes be more than the value of the vehicle itself. Our offers fluctuate constantly and we cannot lock in any specific price until an offer is accepted and the required information is provided. Get Your Instant Offer Now! These people like us. We like them too.